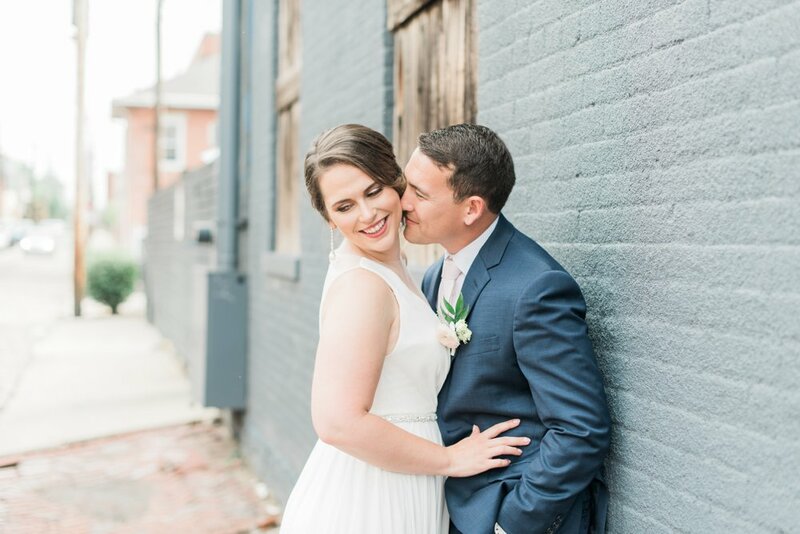 Arielle and Sebastian's love story brought them from Columbus to the west coast, and then back again to become husband and wife! 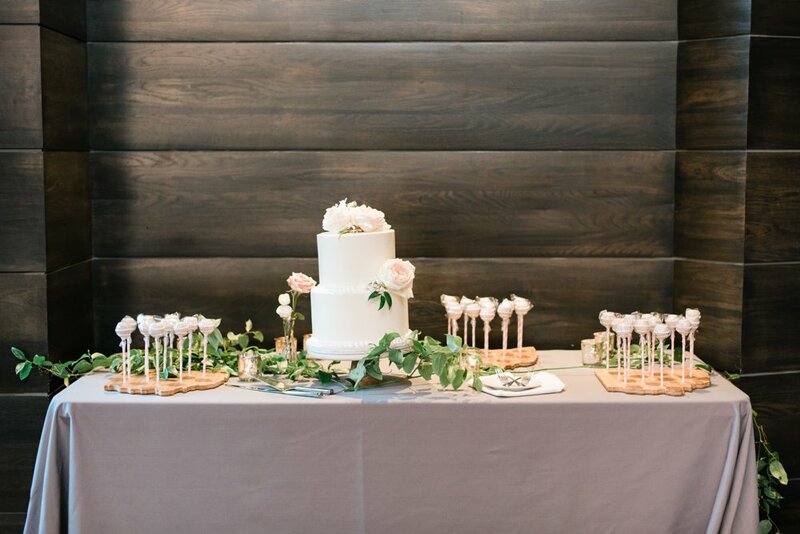 From day one I have felt so honored to get to work with this incredible couple, and have been so excited to see Arielle's vision for this simple, classic celebration come to life. It was one of those days that you never want to end! 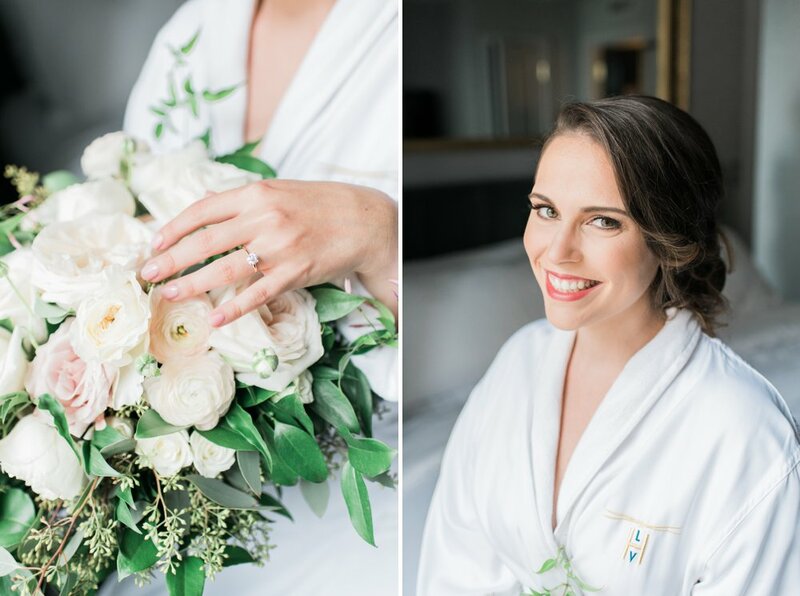 With such a beautiful and sweet couple, and Perfectly Planned Weddings running all of the details behind the scenes, it was a flawless day, and couldn't have been anything else! 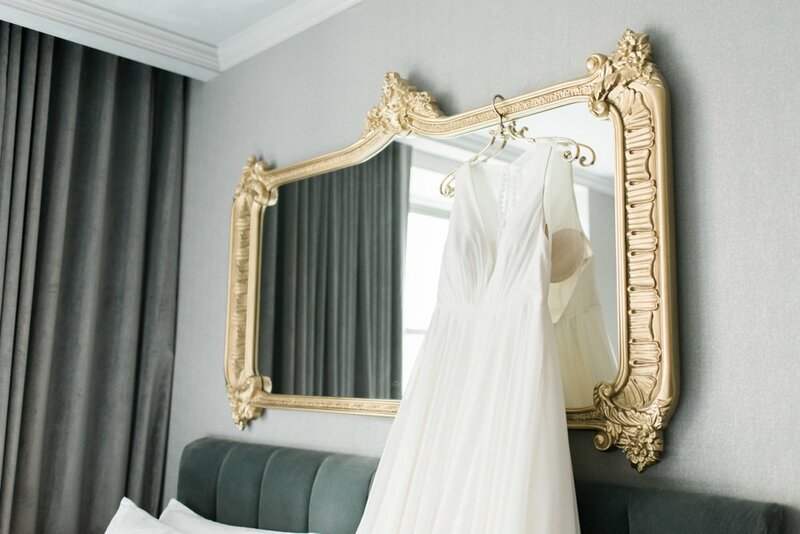 Arielle started the day getting ready at Hotel LeVeque downtown. 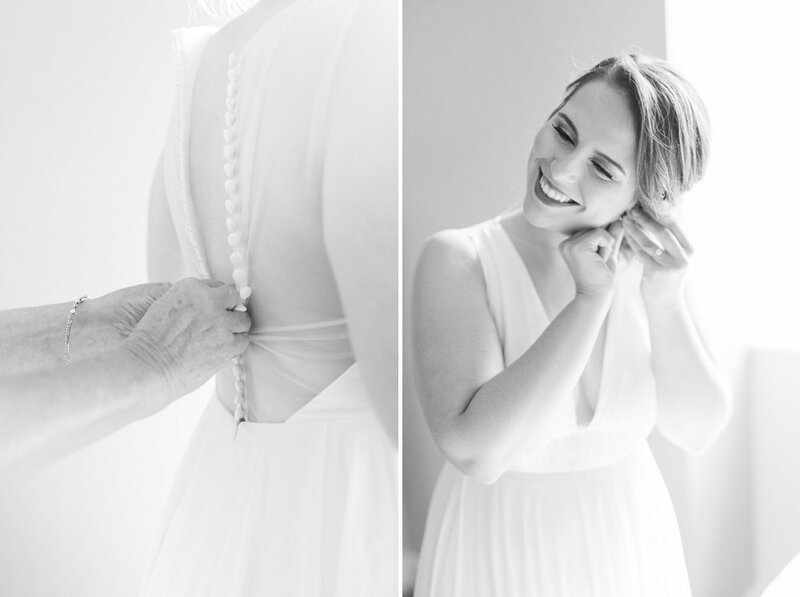 I couldn't get enough of her bridal details, especially her gorgeous gown from BHLDN. 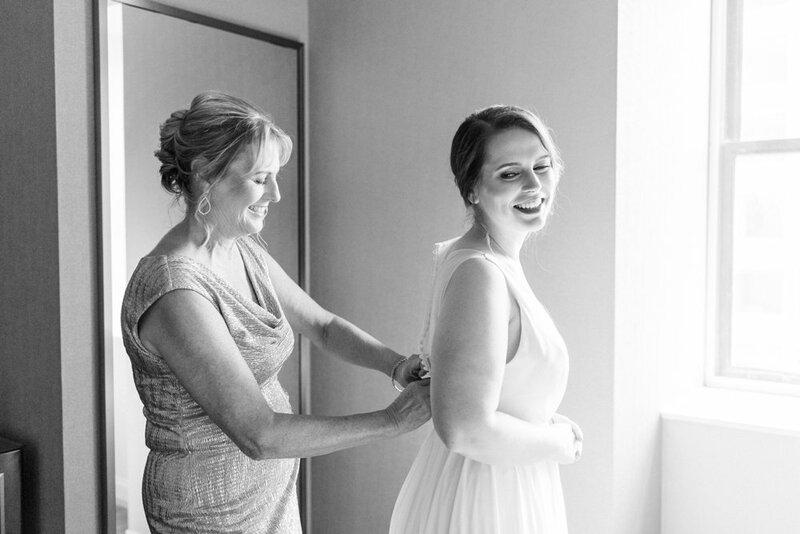 The morning was full of special moments, as her mother helped button her dress, and she had a first look with her father. 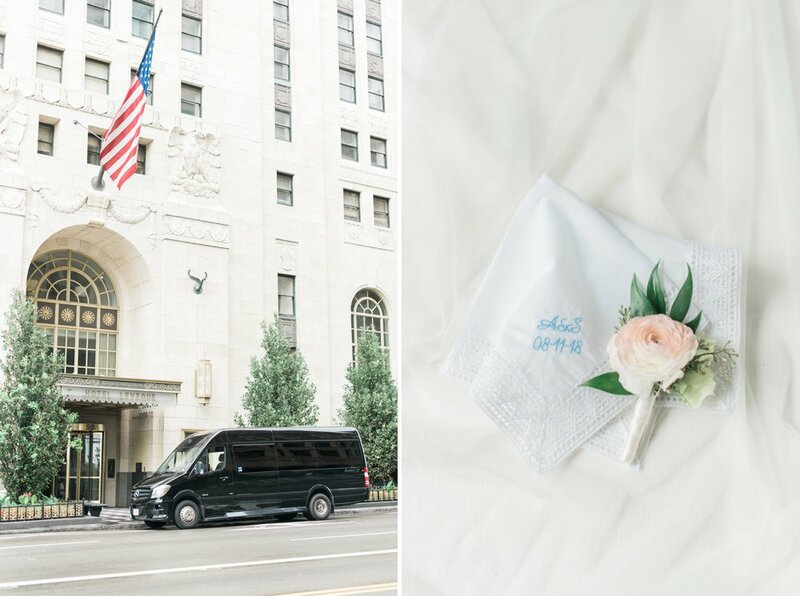 We had been keeping an anxious eye on the forecast, but after Arielle and Sebastian shared a sweet first look inside the Hotel LeVeque, the stormy skies cleared as if just for them! 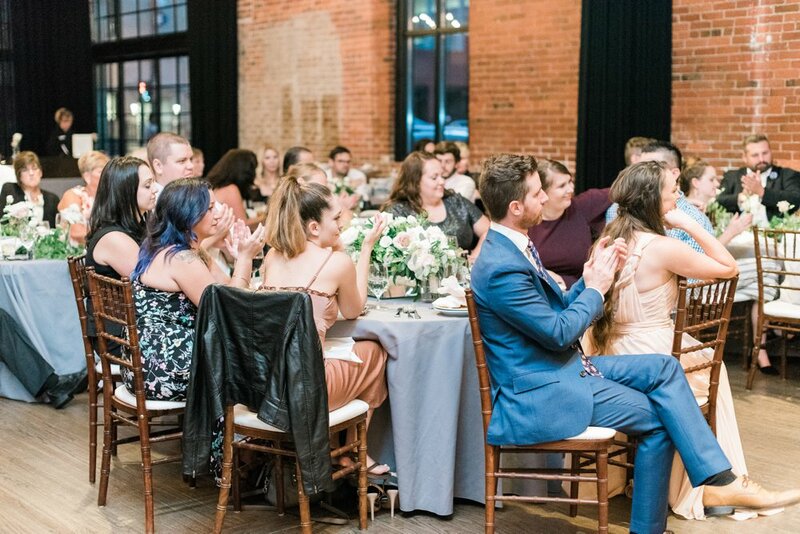 Arielle and Sebastian's bridal party was made up of two of their closest friends from college and high school. 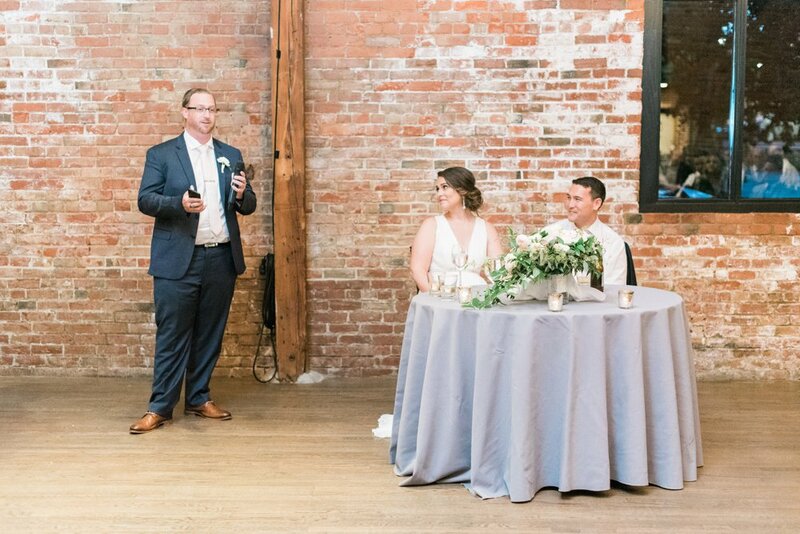 I could easily see smaller wedding parties like theirs becoming a trend -- it added to the simple, meaningful, and intimate tone of the day, and allowed us to leisurely stop at multiple locations for photos! 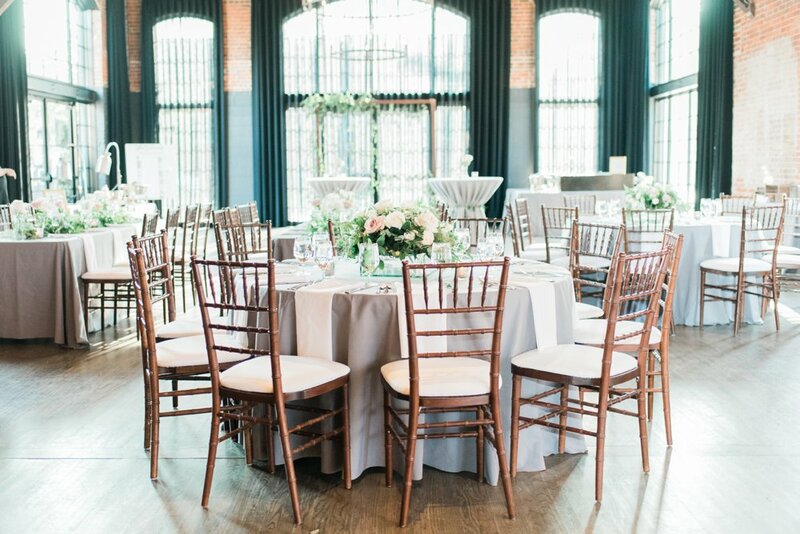 Their wedding ceremony took place inside High Line Car House, in front of an amazing greenery backdrop created by Prema Designs. 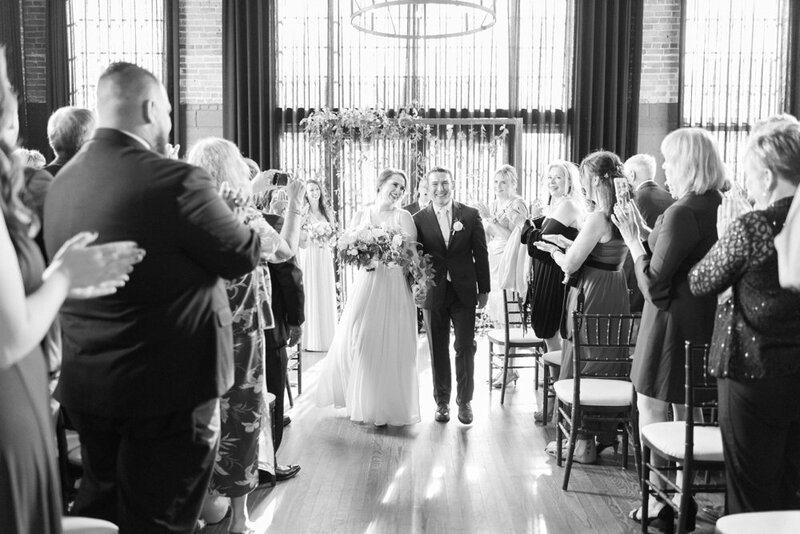 After Arielle and Sebastian's simple and heartfelt vows, they were pronounced husband and wife! Everyone went outside to the patio and enjoyed cocktails and appetizers, in what had turned out to be perfect summer weather. 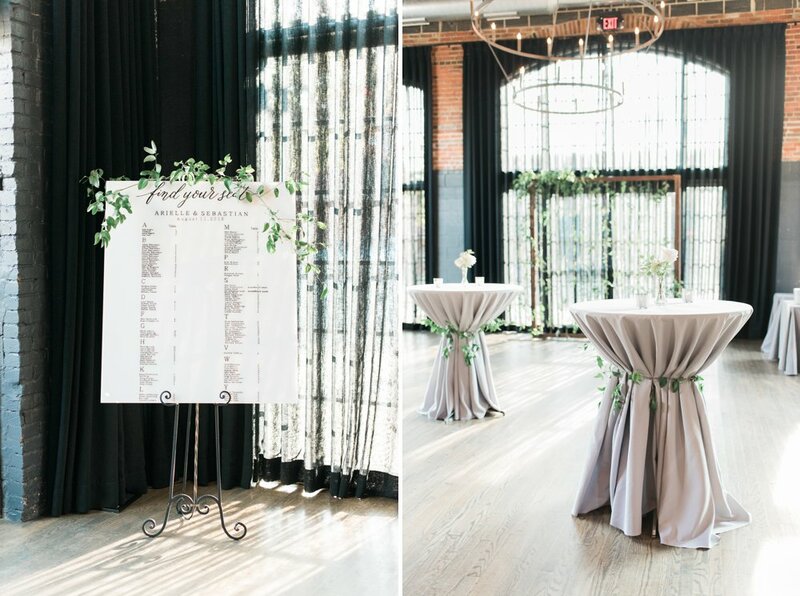 Meanwhile, the inside was transformed into a dreamy, candlelit reception where they ate, laughed, danced, and celebrated the night away with their family and friends. 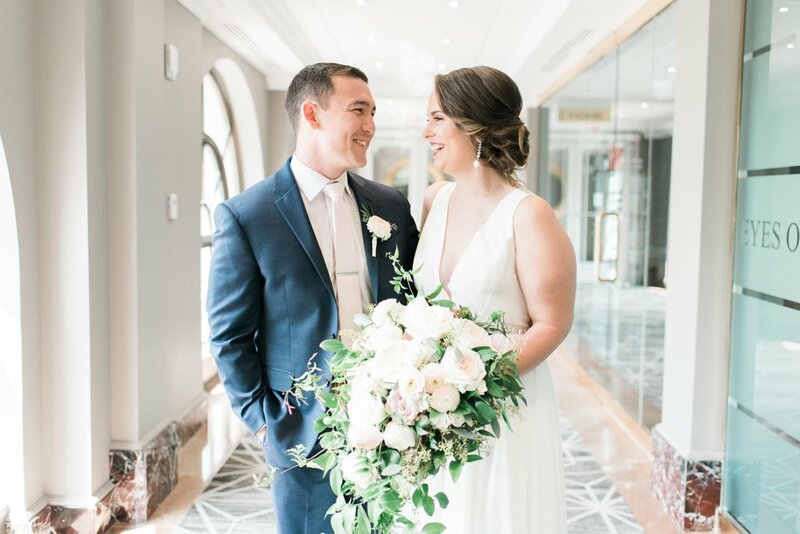 Arielle and Sebastian, I feel so lucky to have been your photographer! 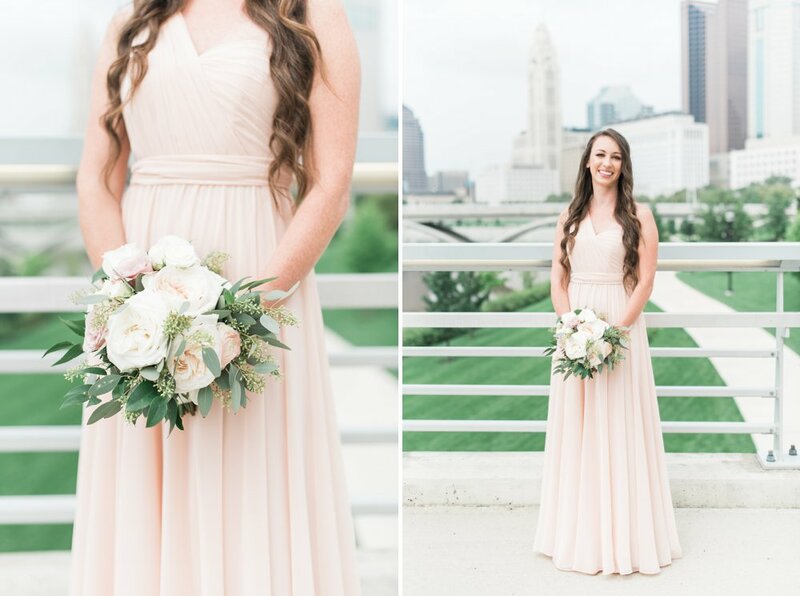 Your day was nothing short of a dream, and getting to capture its moments for you was a complete joy. 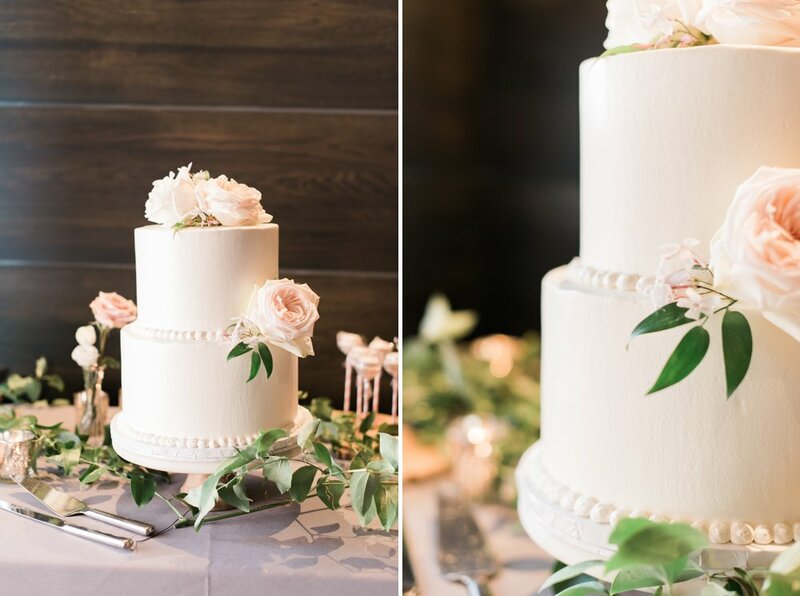 Wishing you years and years of the love and happiness that your wedding day held!! 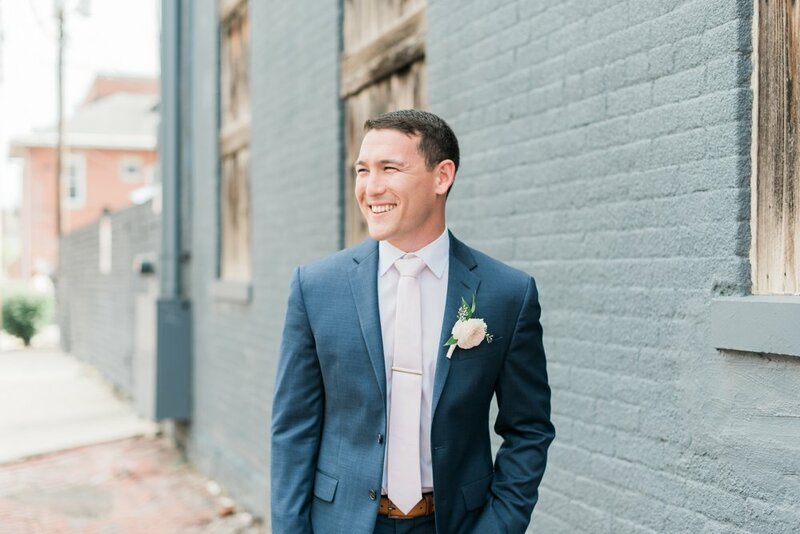 See Arielle & Sebastian's engagement session here!